In the show, the day of the Great Adventure Bay Race between Adventure Bay’s Mayor Goodway and Foggy Bottom’s Mayor Humdinger has arrived, but Mayor Goodway is nowhere to be found – so it’s Paw Patrol to the rescue! Through teamwork, the pups will show that “no job is too big, no pup is too small,” and rescue Mayor Goodway. Tickets for all four performances will go on sale to the public on Feb. 15 and can be purchased at the CFE Arena Box Office, Ticketmaster, or over the phone at (800) 745-3000. Tickets start at $20.50. A limited number of V.I.P. (Very Important Pup) packages are available, starting at $112.50. 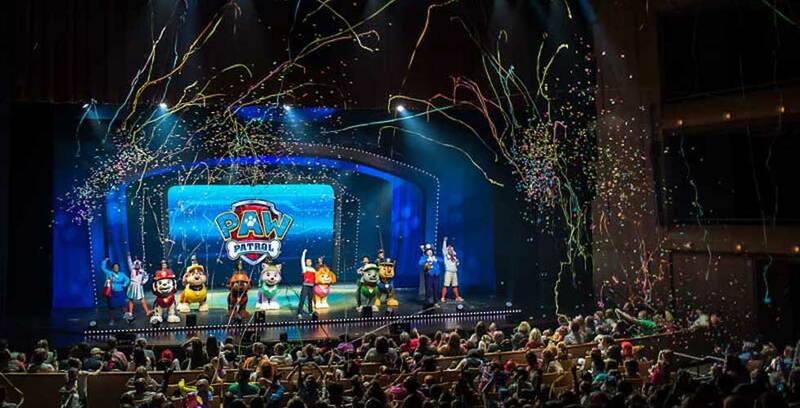 This package includes premium show seating, a commemorative lanyard, and an after-show meet-and-greet with the Paw Patrol Live! characters. To learn more about Paw Patrol Live! Race to the Rescue! visit PawPatrolLive.com.